Experience the half-go kart, half-toboggan ride with origins from New Zealand at its only Asian extension! Come dark, you'll also get to try the first Luge nighttime experience, offered exclusively at Skyline Luge Sentosa! Though there’s family package at the counter , the offer for Klook is still the cheapest ! We forgot to redeem the ticket over the counter , but staff on the ground was friendly to redirect us back. Get US$0.1 back in Klook credits for your next trip when you book this activity! Complete this Klook activity to get 1%-5% of the activity cost back in free credits to use on your next booking. For example, book US$12.19 to get US$0.1 free credits. Up through Skyride, down on Luge! Part-go kart, part-toboggan (a type of sled), this unique ride will have you racing down a purpose-built track with the wind in your hair and the thrill of gravity's pull. Invented in New Zealand over 27 years ago, Skyline Luge involves a type of three-wheel sled, where riders can control their descent by pulling or pushing handlebars to brake or accelerate. 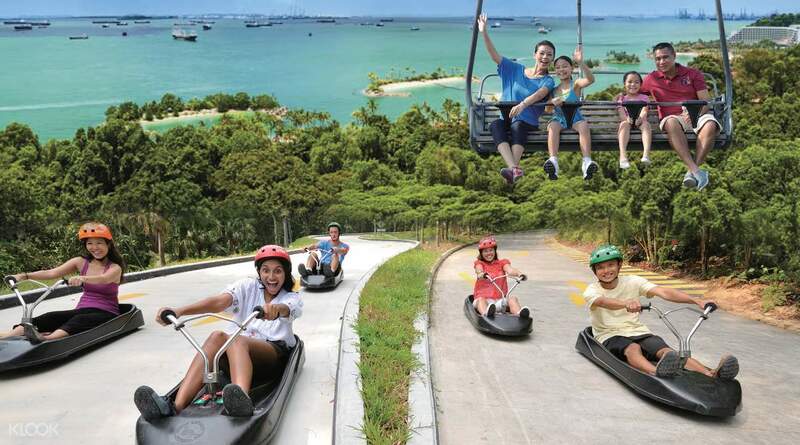 Sentosa's the only place in all of Asia for a ride on the Luge, with a 1.2km-track for you to enjoy with loved ones. 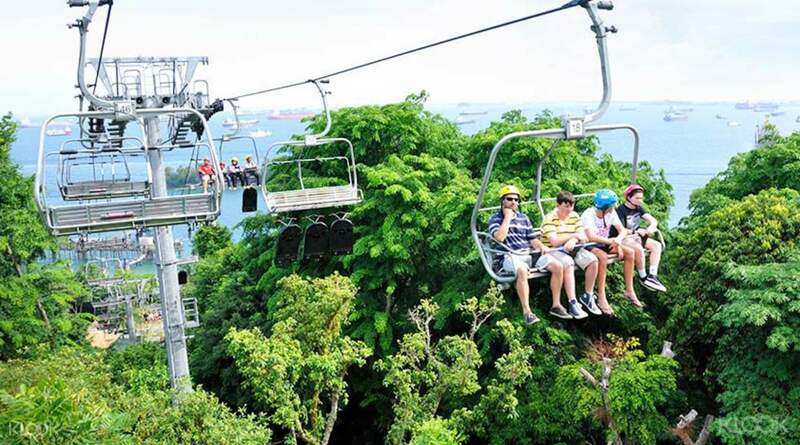 You also get the chance to hop on the Sentosa Skyride for an open-cabin trip to the top of the tracks, where you'll enjoy scenic, bird's eye views of the city skyline, Sentosa Island, and the South China Sea! 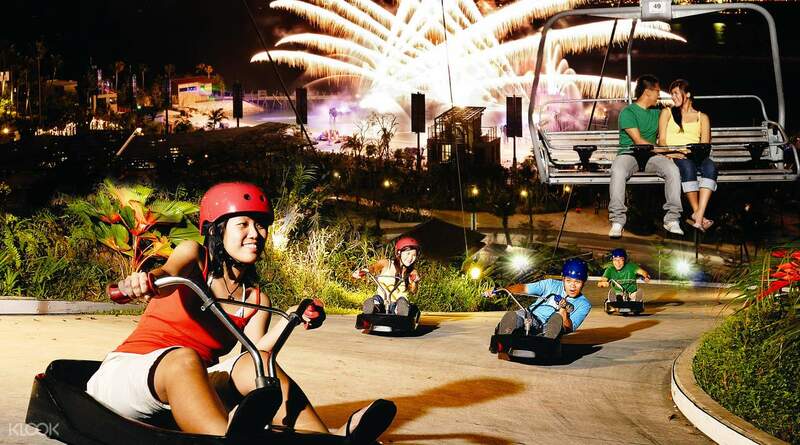 Book a Sentosa Skyline Luge & Skyride from Klook to enjoy discounts! You could also get photo souvenirs of your ride by purchasing photos at Skyline Luge Sentosa, and download a copy from the partner photo vendor. Check out Skyline Luge's FAQ for more details! Skyline Luge experience was so satisfying we had 2 each rides. Aside from the hot weather the scenery was beautiful to look at. Hoping to add more track or make some extensions because the ride was too fast but i enjoyed it! Thumbs up! Skyline Luge experience was so satisfying we had 2 each rides. Aside from the hot weather the scenery was beautiful to look at. Hoping to add more track or make some extensions because the ride was too fast but i enjoyed it! Thumbs up! This is one of our favorite activities on Sentosa. After you redeem the voucher, you'll probably have to wait 20-30 minutes in line. But repeat riders go through a separate line that goes much faster. So I recommend getting 3 or 4 rounds, since there are multiple tracks you can take, and you won't have to wait long in line after the first time. Not only are the luge & skyride fun, they are also a useful way of transportation between the Imbiah Lookout area and the Wings of Time. This is one of our favorite activities on Sentosa. After you redeem the voucher, you'll probably have to wait 20-30 minutes in line. But repeat riders go through a separate line that goes much faster. So I recommend getting 3 or 4 rounds, since there are multiple tracks you can take, and you won't have to wait long in line after the first time. Not only are the luge & skyride fun, they are also a useful way of transportation between the Imbiah Lookout area and the Wings of Time. Whatta awesome exerience. everything was smooth sailing. we had no problem in getting the tickets and lining up for thr ride. The people are very accomodating. everyrhing was explained to us before we go in. thus is an truky amazing experience. saves time in lining up for the tickets as well. kudos to klook and all his partners. we will use klook again on our next travel. Whatta awesome exerience. everything was smooth sailing. we had no problem in getting the tickets and lining up for thr ride. The people are very accomodating. everyrhing was explained to us before we go in. thus is an truky amazing experience. saves time in lining up for the tickets as well. kudos to klook and all his partners. we will use klook again on our next travel. whoaa..!! they have given four rides two was skyline another was luge both are great..I like luge the most it was quite interesting as we had many options in skyline such as cable car thats why I enjoyed luge alot..we had done on final day..we had taken this at evening so we have covered two views..one at around 6pm after that another.again thanks for klook..!! whoaa..!! they have given four rides two was skyline another was luge both are great..I like luge the most it was quite interesting as we had many options in skyline such as cable car thats why I enjoyed luge alot..we had done on final day..we had taken this at evening so we have covered two views..one at around 6pm after that another.again thanks for klook..!! While it may be a frightful experience for those who are afraid of heights, it’s the perfect place to catch a bird’s eye view of Sentosa island, the Singapore skyline and the South China sea. and come evening time, you can even catch the fireworks from the newly opened Wings of Time show. While it may be a frightful experience for those who are afraid of heights, it’s the perfect place to catch a bird’s eye view of Sentosa island, the Singapore skyline and the South China sea. and come evening time, you can even catch the fireworks from the newly opened Wings of Time show. easy to booking. no need queue up at ticketing counter. Good memories to hold. im thank for the essort. im love it n enjoy the whole activity. 10 token i choice magnum ice cream. nyum nyum. thank klook for make it easy. easy to booking. no need queue up at ticketing counter. Good memories to hold. im thank for the essort. im love it n enjoy the whole activity. 10 token i choice magnum ice cream. nyum nyum. thank klook for make it easy. If you are looking for a place to have fun in Singapore. Skyline luge is a must try activity!! It was really fun and to be honest we want more! Will try this again on our next visit in Singapore! We got our ticket cheaper and hassle free! Thanks klook!! If you are looking for a place to have fun in Singapore. Skyline luge is a must try activity!! It was really fun and to be honest we want more! Will try this again on our next visit in Singapore! We got our ticket cheaper and hassle free! Thanks klook!! Luge and skyline combo pack was just fun. Skyline was a bit thrilling, you are sitting in an open chair type in the sky. Luge was very much fun ride. And yes as they say once in never enough 🙂 they give minimum 2 rides package . Luge and skyline combo pack was just fun. Skyline was a bit thrilling, you are sitting in an open chair type in the sky. Luge was very much fun ride. And yes as they say once in never enough 🙂 they give minimum 2 rides package . Once is REALLY never enough! I was so tempted to pay for another round haha. It was worth it and fun! Unfortunately, i did not get a good picture because it was too dark. if you want to have a good shot, better ride it during daytime. Once is REALLY never enough! I was so tempted to pay for another round haha. It was worth it and fun! Unfortunately, i did not get a good picture because it was too dark. if you want to have a good shot, better ride it during daytime. 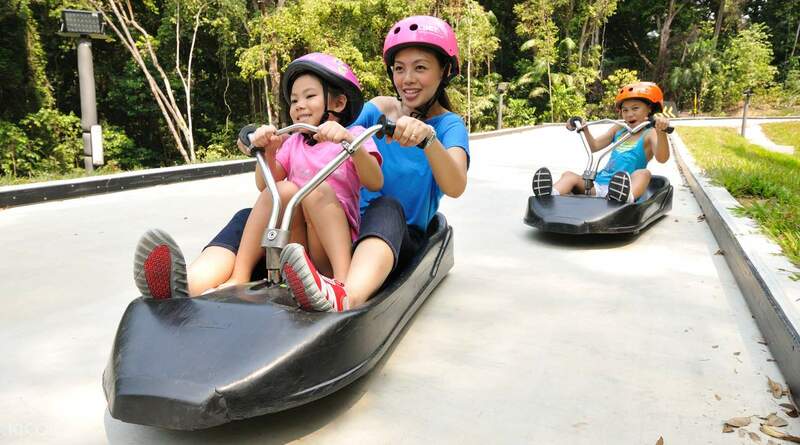 Q: Do children under the age of 6 need tickets to ride the Luge with a parent or guardian?